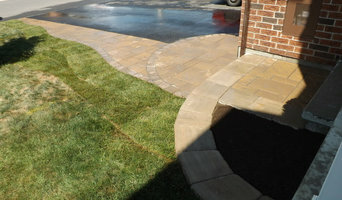 NeighborScape Inc. is a landscape design, construction and property maintenance company based in Manotick, servicing residential and commercial clients throughout the greater Ottawa region since 2006. Our Core Values include: - Customer Satisfaction - Exceptional Quality - Achieving Client Trust - Inspired design - Timeliness in both pre and post agreement stages Let's work together! 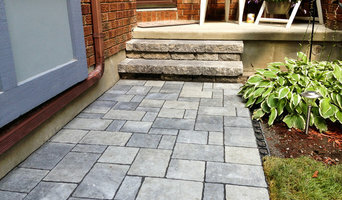 Legendary Landscaping is quickly expanding company that has been taking the Ottawa areas and turning them into beautiful landscapes. Legendary Landscaping is here to bring the fun and excitement to your backyard and get you outside. We can make your landscape dream become a reality and your backyard project a success. 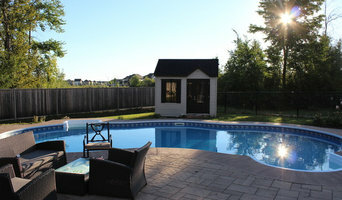 Our innovative design and quality craftsmanship allows for us to “make every season beautiful” for your outdoor oasis. Blue Heron Landscaping is celebrating 20-years of providing landscaping services to the Pontiac and beyond. We are a family owned business that is dedicated to providing customer service excellence, you not only become a client you become a part of our landscaping family. Our experience and knowledge in the landscaping industry have enabled us to offer consistent quality to homeowners, businesses and institutions.Our styles range from tropical gardens, native plantings, zen gardens, free form and formal designs. We also own and operate Pinks Greenhouse located in Aylmer, QC allowing for us to have an exceptional understanding of all plants from seeds to mature plants, annuals, and perennials to incorporate into your landscaping designs. At Ottawa Landscaping Design, our staff specializes in stone masonry, stone restoration, stonework, retaining walls, and all other forms of stone landscaping. We believe stonework is the most distinct form of landscaping. Each rock that we work with is different – a different shape, a different colour, a different size- in fact, no two features are ever the same. This uniqueness makes our work exciting and highly sought after. We only use natural stone because of its unparalleled appeal and durability. Our goal is to create a landscape that fits your life and your style. We pride ourselves most on the quality of work we provide to our clients, and the level of professionalism we maintain throughout the entire service. Legendary Landscaping is here to bring the fun and excitement to your backyard and get you outside to enjoy it. Your property is not just the place where you live, it is the key place in your life to invest in your own little slice of paradise. We want you to be able to enjoy every part of it and reflect who you are. 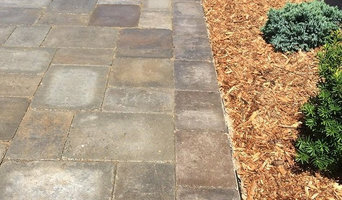 Operating in the Ottawa and Nepean areas, our management team has a combined experience of over 15 years in both hardscape, such as walkways, patios, driveways, and retaining walls, and softscape, such as gardens, plants, and trees, and 10 years in design. Owner Brad Laplante and his highly skilled crew can make your landscape dream become a reality and your backyard project a success. 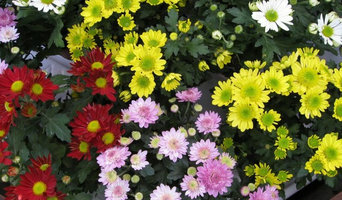 Kozy Landscaping creates beautiful properties while focusing on our customers needs and satisfaction. Take your property from average to extraordinary with Premier Irrigation & Lighting today! We pride ourselves on delivering customized solutions for your irrigation and landscape lighting needs that will enhance and add value to your greatest investment â€“ your home, business or investment property. We strive to provide a personal touch and deliver exceptional customer service. Premier can meet all of your irrigation needs. We offer customized design, installation, service & maintenance packages and can fix any repairs your irrigation system may require. Premier will ensure that your irrigation systems is running at its peak performance to help you care for a plush, manicured lawn and give your gardens the consistent attention they need to thrive. Premier designs and installs landscape lighting that will enrich and beautify your landscape features and structures, making your property standout amongst the rest. We also offer repair services for landscape lighting.